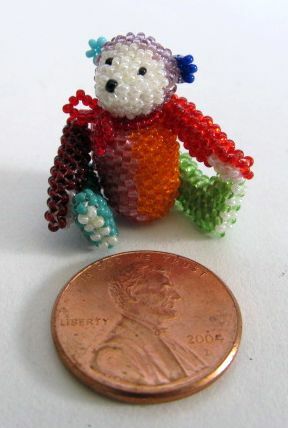 to view my beaded miniature bears and other bead creations. 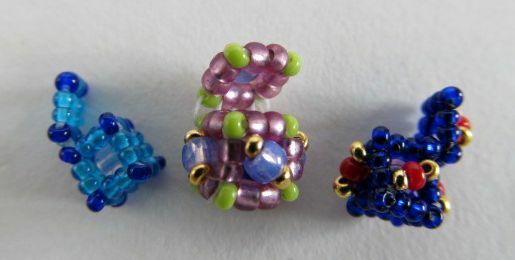 I have been designing some new projects, teaching beading classes and writing instructions for bead projects. 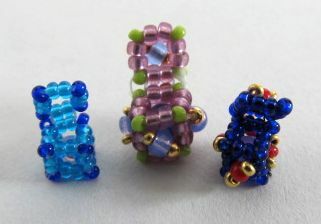 Here are some recent creations. My new website is - www.idelegilbert.com. 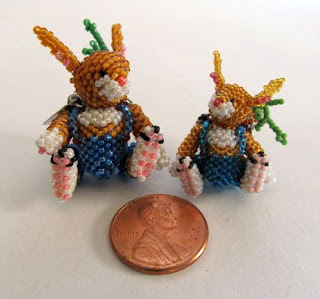 Here are two new beaded micro miniatures - a multi-colored bear - 1 1/8" high and a tiny version of my Blue Jean Bunny - 1 1/4" high. They are both fully jointed and are worked in Peyote stitch with vintage size 18/0 seed beads. 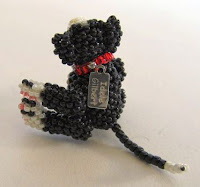 My new miniature black and white cat is- 1 1/2" high. 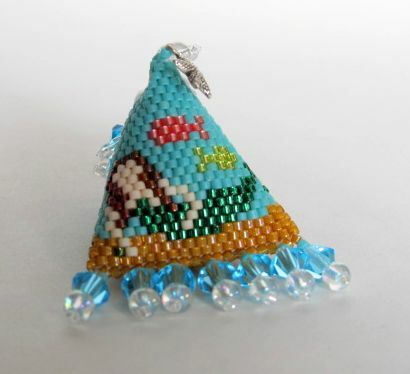 It is fully jointed and is worked in Peyote stitch with size 15/0 seed beads. 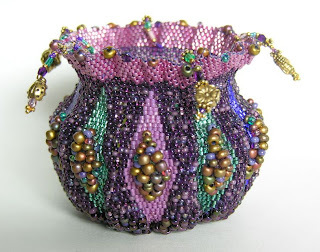 I have a new pattern available for an elegant "Stained Glass Vessel". 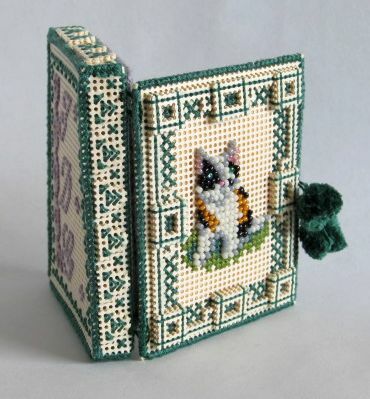 The vessel is 2 1/2" high x 3" wide. It is a free standing structure with no glass support inside. The vessel is worked in brick stitch with various sizes of Czech seed beads and Delica beads. I have designed a 2 1/2" high drawstring purse made out of cantaloupe seeds and size 9/0 3-cut beads. 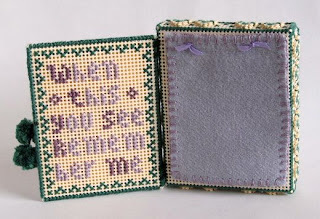 The fabric lining is Dupioni silk. 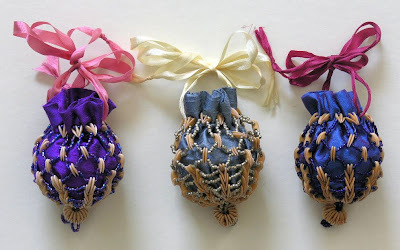 The drawstrings are silk ribbons. The purse is a smaller version of purses made in the early 1900's. 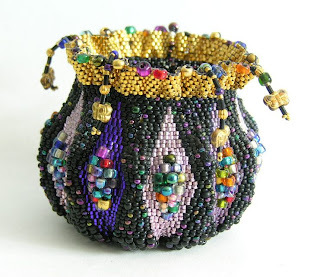 I have been working with perforated paper and beads to create needlecases and other items based on antique pieces in my collection. 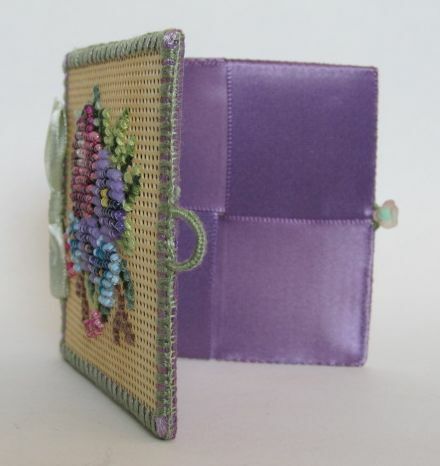 This first needlecase has a floral design and measures 3"x 3". 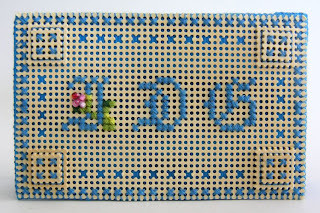 It is worked on 14 mesh perforated paper with floss and 11/0 seed beads. The inside of the case is made from interlaced satin ribbons. 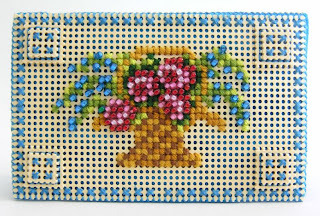 The next needlecase has a basket design. 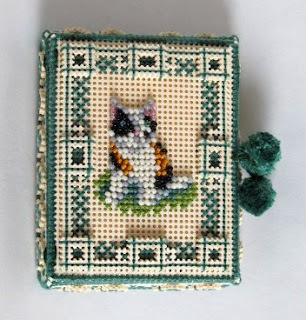 I named this one "It's Magic" because it is based on an antique trick called a magic wallet. 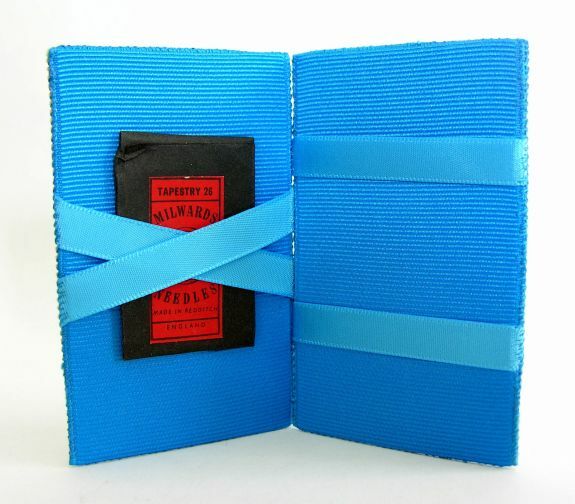 The ribbons inside the needlecase magically flip an inserted item from under the straight ribbons to magically appear under the crossed ribbons.This needlecase measures 2 1/4"x 3 1/2". 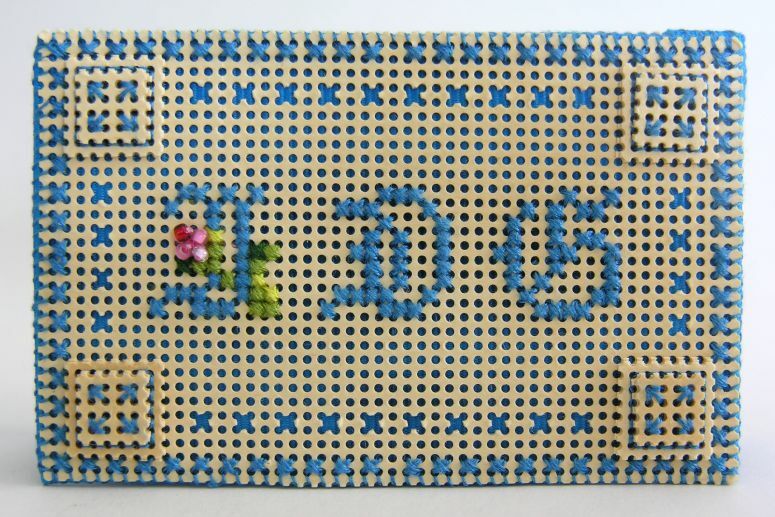 It is worked on 14 mesh perforated paper with floss and 11/0 seed beads. This piece includes cutout squares and raised stacks of perforated paper. The third needlecase looks like a small box, but it is actually a needlecase when the lid is opened. This "Kitty" needlecase measures 2 1/2"x 3 1/4". 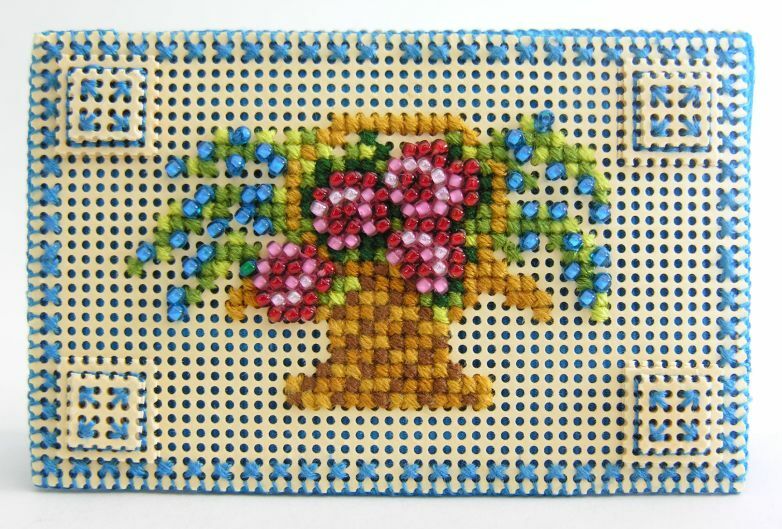 It is worked on 14 mesh perforated paper with floss and 11/0 seed beads.This design features raised perforated paper borders. 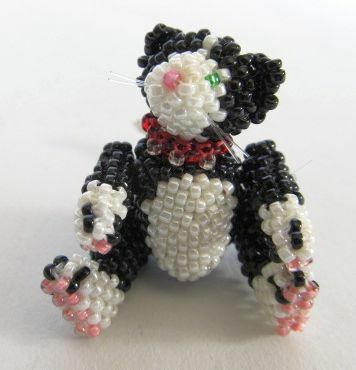 Using Peyote stitch, I have designed two humbug needle grabbers. 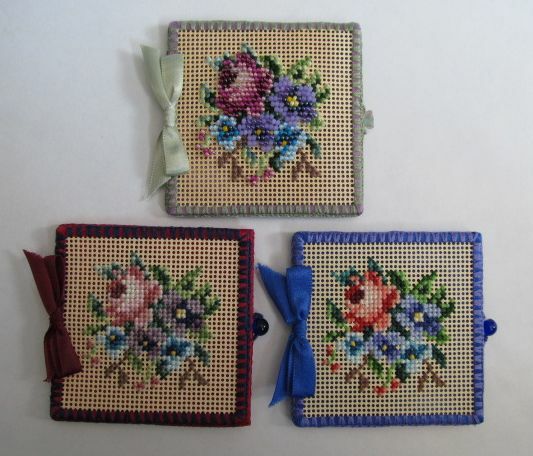 One is a mermaid design. 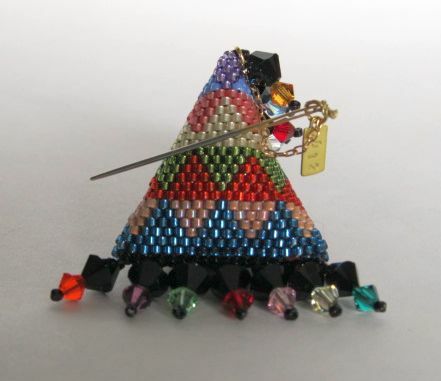 The second is geometric. 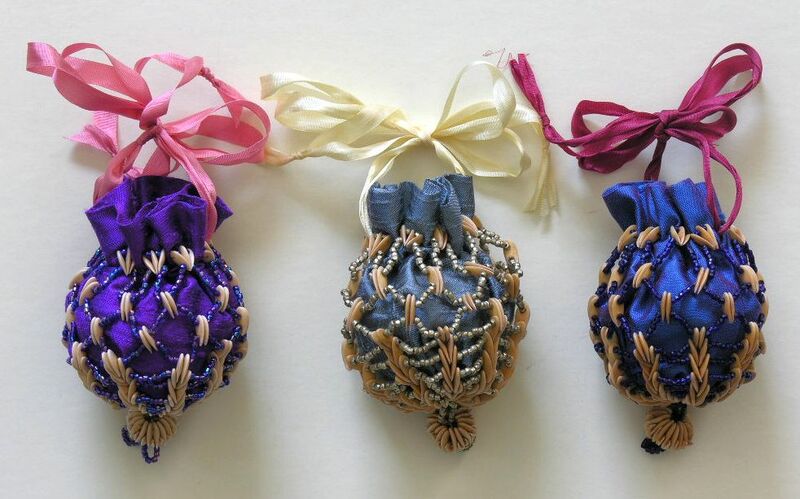 They are each 1 1/4" plus fringe. 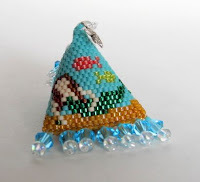 They are made with Delica beads. There is a magnet inside to grab the needle. 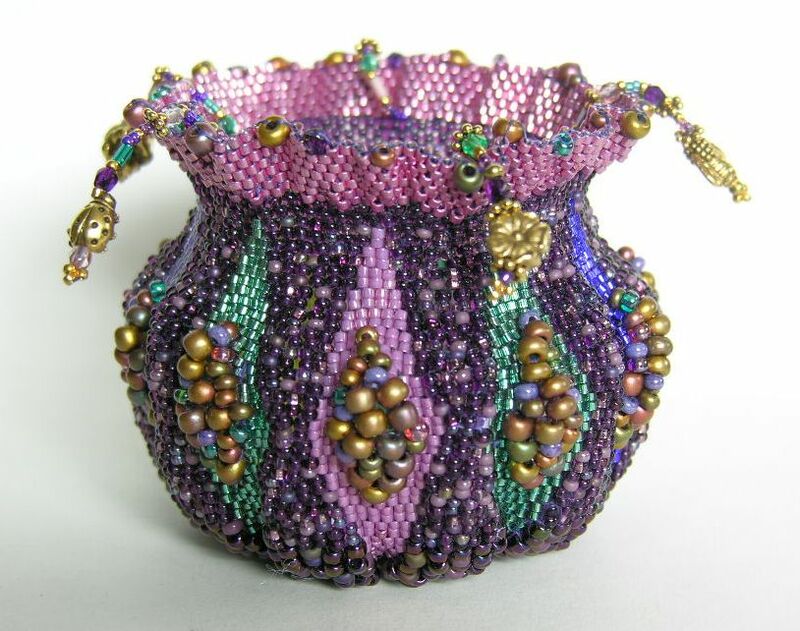 I am including photos of my miniature beaded boxes. 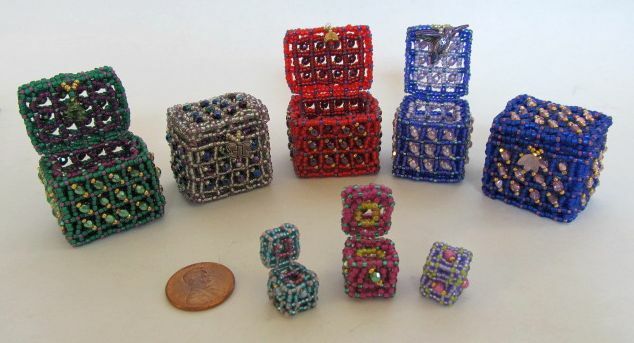 The boxes are made just like my "Tiny Treasure Boxes", but they are made with size 15/0 seed beads. They are 3/8" wide x 1/2" high including the lid. My micro miniature boxes measure 3/16" wide x 1/4" high including the lid. 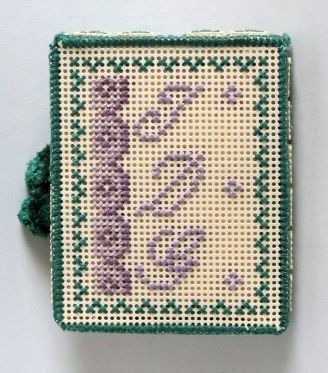 The tiniest box is 1/8" wide x 3/16" high including the lid. 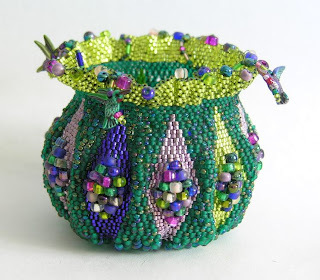 They are all made from vintage seed beads sizes -18/0 - 22/0. The lids all open.